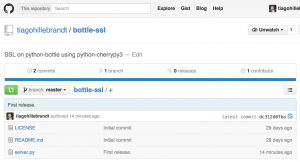 Bottle is a very fast and simple micro web framework for Python. Per default, it comes with a built-in WSGI server, which makes the work really easy. For example, it is an excellent framework to write a REST API for your application. However, this built-in WSGI server doesn’t have support to SSL encrypted connections. 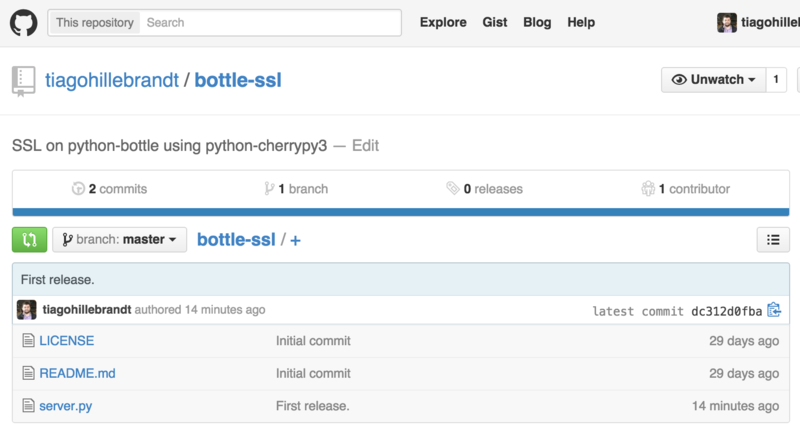 Fortunately, it is possible to easily integrate Bottle with another web frameworks, like CherryPy, Python Paste, and others. Thus, after some research, I have implemented a solution to run my Bottle code using the CherryPy WSGI server, with SSL enabled. Also, if you have any suggestions or questions, please leave a comment and I will be happy to help.